The author of this book is a well-known activist in the field of women’s rights and in particular female genital mutilation (FGM). Her style is at times confrontational and challenging, but this makes the book thought provoking and memorable. 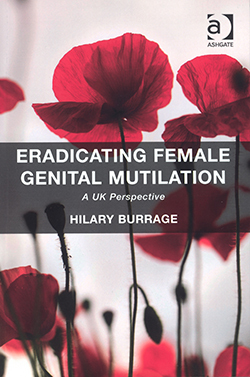 The author has explored the cultures and belief systems linked to FGM and discusses whether our partial acceptance of these beliefs as an explanation is the reason that there has been no successful prosecutions and that victims are still slow in coming forward. The author gives us the solutions to ending FGM in the next decade, however she says the political (with a small and large ‘p’) must be there for this to happen. The book is in a easy-to-read style and its contents are appropriate for nurses – particularly those working in primary and community care. Reviewed by Sonia Hall, practice manager, London.